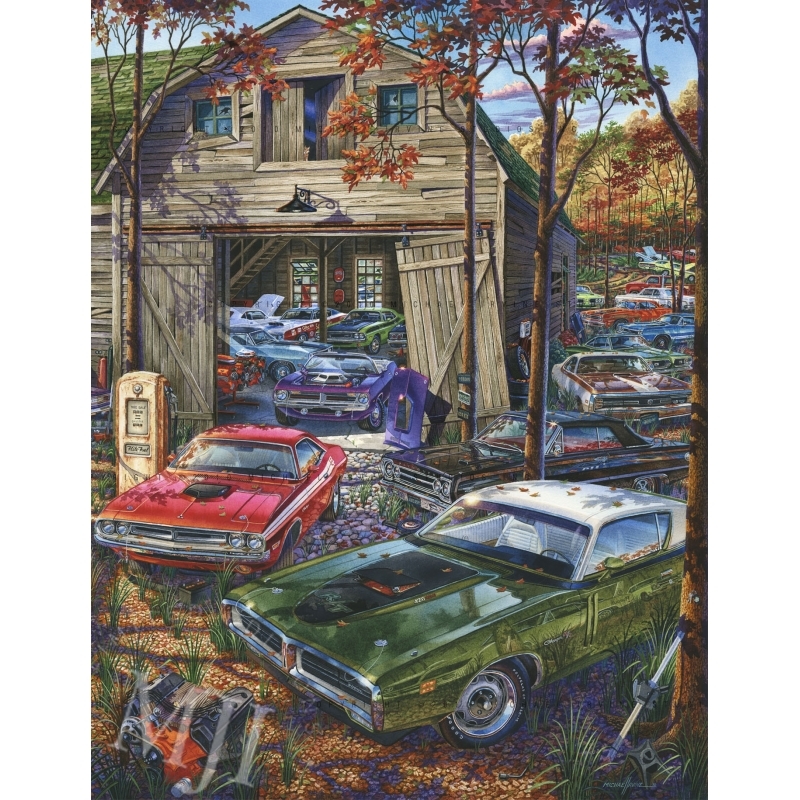 "First, Second and Third" "First, Second and Third"
"Drop Top Show Down" "Drop Top Show Down"
"They Came With The Farm Free" "They Came With The Farm Free"
"Big Blocks Behind The Barn" "Big Blocks Behind The Barn"
"Mopar Farm Numbers Matching Set" "Mopar Farm Numbers Matching Set"
"GM Farm Trilogy" "GM Farm Trilogy"
"They Came With The Farm Too" "They Came With The Farm Too"
"Always Room For One More" "Always Room For One More"
proud to stand in front of. as they explore one of my paintings." 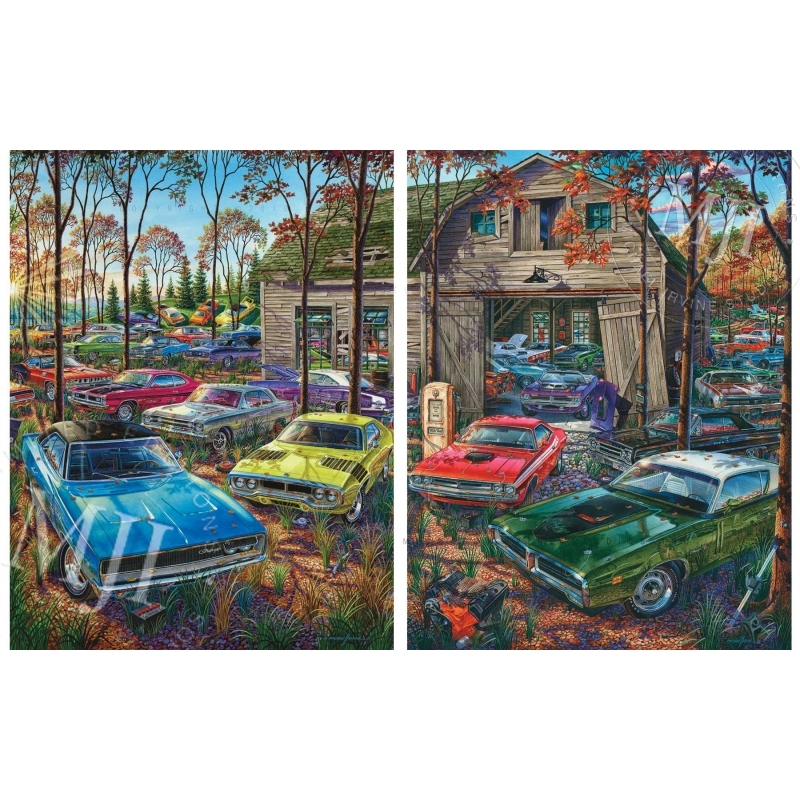 Michael Irvine is one of North America's premier automotive artists, capturing vintage and modern muscle and sports cars in hand drawn, hand painted, high impact, vibrant watercolor. Incredibly detailed, powerful, imaginative and creative, the surrealism of Michael's work brings to life scenes that draw us in and unfold to tell a story. 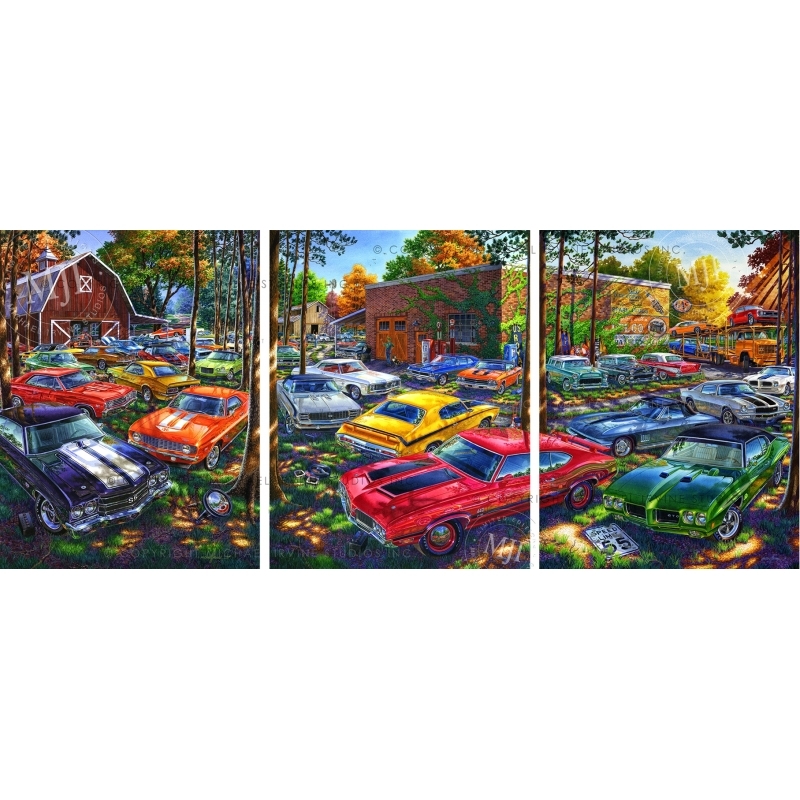 His diverse automotive fine art portfolio is perfect for the home, office, den, man cave and garage. Original paintings, limited edition prints and giclées, artist proofs with custom remarque and gallery edition canvases are available.